Your online business gains attention through a number of sources: social media, paid advertising and search engines. While these are all vital elements of any marketing strategy, many fail to consider the power that shopping search engines can provide to business owners and consumers alike. There is a good chance that you have used a shopping engine to find products online – in some cases, not realizing that you are even using it. Businesses that do the right thing, provide excellent services, products and customer service, and that are proactive in getting their message out will stand to gain a lot from the use of select shopping engines. 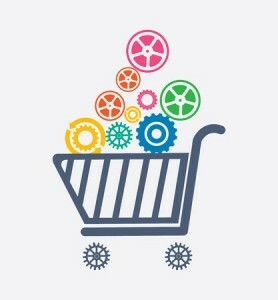 In the following article, we’ll give you the insight necessary to understand which shopping engines you should be using to promote your e-commerce offerings. The king of search is also the king of shopping: Google Shopping serves up hundreds of millions of inquiries to product-hungry consumers each and every year. It is rather simple to setup an account with Google Shopping and begin pinging your website‘s offerings to the shoppers of the world. You will have to agree to some terms, and as with any shopping platform, there are limitations on what you can sell. Google Shopping works on a cost per click basis, meaning you will be charged for each person who clicks on a link for one of your products. In the end, the average cost per sale is around fifteen percent. There is no better solution for shopping exposure than this platform, as many shopping results are often displayed in traditional search when users are looking for reviews, products or even simple inquiries. Amazon is another great platform through which small businesses can promote their products. Once only the platform for Amazon itself, then only open to larger businesses, Amazon now functions similarly to eBay (sans the auction format). Using Amazon.com Marketplace as a way to sell your products will not only put it on the world’s most popular online dedicated storefront, but you’ll also be pinging your website indirectly as Amazon dominates search results through Google and others. Amazon.com is a commission-based system, which means that you’ll pay out a percentage of your profits to Amazon for each sale (this varies by product category; anywhere from two to ten percent). We don’t hear a lot about Nextag, but it is one of the largest product marketplaces you’ll ever see. It is a paid comparison shopping website that allows business owners to list their products and services, which include more abstract items like travel deals and local retail deals. You’ve no doubt seen ads from Nextag on a plethora of websites and even in Google’s own search results, as it is a powerful marketing force with which to be reckoned. One of the more expensive market solutions, the average percentage of a sale that goes to Nextag is around 20%, but it also has one of the highest conversion rates of any marketing platform. Nextag is a cost-per-click service, which in part accounts for this higher cost.